Get Starbucks customers to branch out from their regulars and try something a little more adventurous – iced espresso or cold brew. Show the world that when craft meets cold, something amazing happens. Flavors get richer. Tastes get bolder. Possibilities await. Our shoot material was just too delicious to walk away from. So we turned it into irresistible gifs and repurposed it for social and as coffee-nerd fodder on Starbucks' blog 1912 Pike. 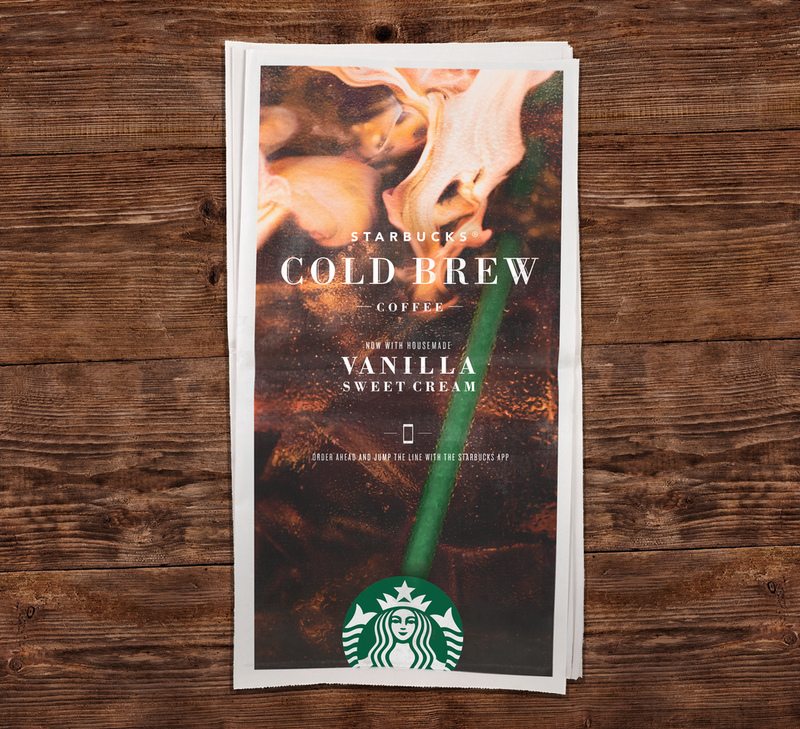 To compliment the social and digital, we also released print ads for the limited edition Vanilla Sweet Cream Cold Brew.